Business environments are in a constant state of change and require an agile and flexible IT infrastructure that allows quick adaptability to changing business needs. The IBM Power System E880C enterprise server with OpenStack-based cloud management allows companies to accelerate the transformation of their IT infrastructure for cloud while providing flexibility during the transition. 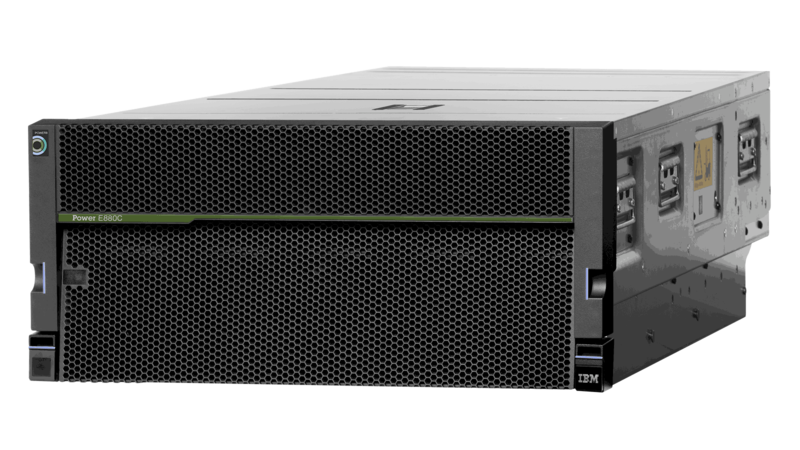 The IBM Power E880C enterprise server helps you develop a cloud infrastructure with increased security, high availability, rapid scalability, simplified maintenance, and management—all while enhancing business growth. Manage a private cloud with software tools to create virtualized pool of compute resources, self-service portal for end users, and policies for resource allocation, control and security. Manage private, public or dedicated cloud resources with single management tool while and secure connecting workloads with cloud-native apps for fast response to quickly changing business priorities. Build flexible elastic private cloud capacity and consumption models. Monitor cross-data center inventory and performance via the IBM Cloud. Cloud computing can streamline service delivery, and improve IT economics through automation and higher utilization of resources. Manages fluctuating business demands with dynamic, on-demand private cloud capacity.